Nafplio was once the capital of Greece, way back between 1823 and 1834, but the town’s history dates back much further. Legend says it was built by the god Poseidon’s son Nafplios and the daughter of Danaus, Anymone and soldiers from Nafplio were instrumental in the Trojan War. It was an important town during Byzantine times and the influence of Venetian and Turkish invaders can be seen throughout its architecture. 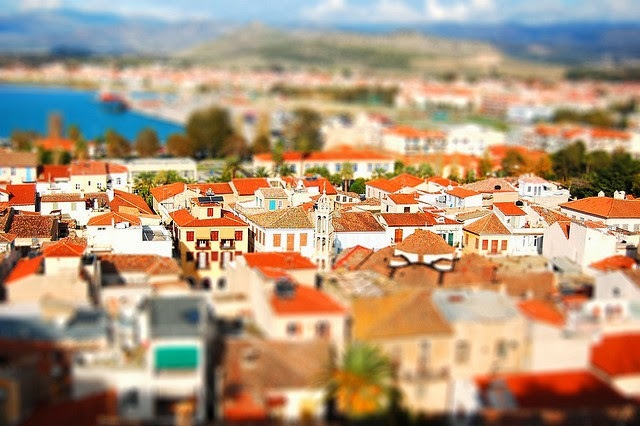 Today Nafplio is popular as a holiday destination for Greeks and visitors from abroad. It’ll impress history buffs who come to discover the historic fortress and anyone looking for a romantic getaway in gorgeous surroundings. Nafplio is sometimes known as the jewel in the crown of the Peloponnese, a landmass south of Athens that sits right on the water. 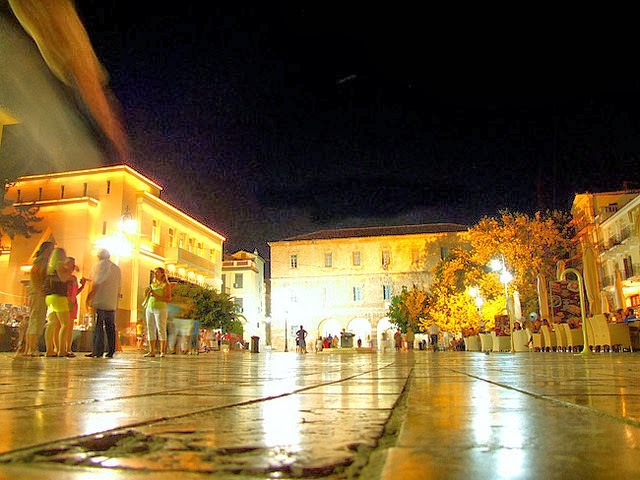 Start your visit to Nafplio holiday with a lazy walk around the Old Town. The twisting cobbled streets and colourful houses are more typical of an Italian city than traditional Greece; there are neoclassical mansions draped by Bougainvillea trees, small iron balconies with sunset views and Turkish fountains. Back towards the flagstone square of Syntagma, it’s a good time to grab some souvenirs. Nafplio is something of a magnet for artists; shops are filled with handmade crafts, art and pottery. The city is famous for kombolois - otherwise known as worry beads. Made from amber or metals, there’s even a museum dedicated to them and you’ll see them on the hands of many locals on your visit. Next up grab a coffee to give you some energy – you’ll need it for your next stop: Palamidi Castle. Standing 216 metres above sea level, the climb is 999 steps carved straight from rock, but let me tell you, it’s worth it. 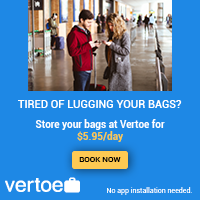 On a clear day you’ll see all the way across the Argolic Gulf, all blue skies and sparkling seas. Protecting the town since 1714, the castle is an architectural masterpiece. At the base of the hill sits the Akronafplia fortress, the oldest castle in the town and once a political prison. 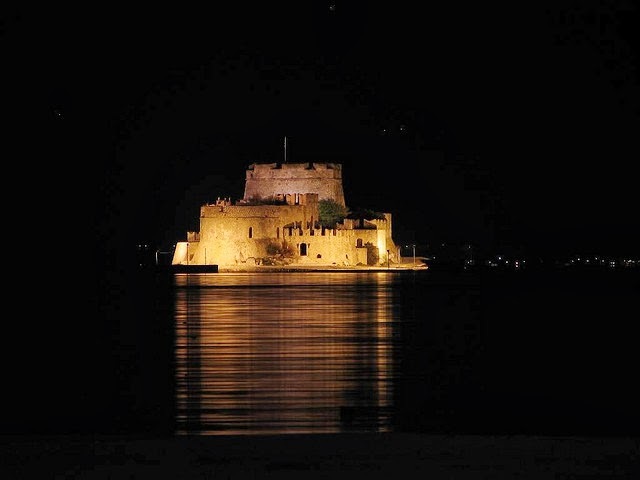 For history enthusiasts, Nafplio has plenty to offer, with a War Museum in a former Military Academy, the award winning Pelopennesian Folklore Foundation Museum, a great selection of costumes and accessories. The Bourtzi is the most photographed part of the city. The small fortress was built by the Venetians in 1473 to protect the city from pirates. After that it had several uses, including a retreat for Greek government officials during times of revolution, as well as home to the town’s executioners! The Bourtzi has a different use today as a tourist attraction and venue for summer festival performances. Nafplio is famous for its Italian influences – perhaps most commonly seen in its food. One thing all visitors can agree on is that Nafplio has the most authentic Italian gelato in Greece. We’d recommend trying every flavour at the Antica Gelateria di Roma, a gorgeous café filled with colour and flavour. Just a quick spin from Nafplio and you’ll find a glut of incredible ancient sites including UNESCO World Heritage Sites like Epidaurus, an incredible site of temples and theatre and venue for summer arts performances and Tiryns, a palace complex is said to have been built by the Cyclopes and anyone associated with it has magical powers.